It may be a jungle out there, but it’s also a jungle inside the Los Angeles Zoo and Botanical Gardens. One of the top Los Angeles attractions, the Los Angeles Zoo is the fourth zoo to serve the city, outgrowing the Griffith Park Zoo. The citizens of Los Angeles passed a $6.6 million bond measure in 1956 to build the now-standing Zoo. Today’s Zoo features an array of amphibians, birds, invertebrates, mammals and reptiles. The newest animals, Sumatran tiger cubs, made their public debut by joining their mother’s exhibit late last year. 2011 saw a ton of new species born or hatched at the Zoo including hoofed mammals such as gerenuk, markhor and bighorn sheep; primates such as colobus and capuchin monkeys; the hatching of several flamingo chicks and 21 Komodo dragons; and the first successful birth of giant otters at the Zoo. Looking forward, guests of the Zoo will be treated to the Rainforest of the Americas, to be completed in 2013. Construction is near the Zoo aviaries and will house mixes of mammals, reptiles, birds and insects. The Los Angeles Zoo currently participates in more than 20 conservation projects such as the Turtle Survival Alliance, the Philippine Spotted Deer Program and the California Condor Recovery Program. Not only does the Zoo work hard to preserve animals, but it takes pride in their natural habitat as well. The existing intertwining Botanical Gardens are a link between the animals and their environment. In fact, the zoo has maintained such a wide selection of plants that it was accredited by the American Association of Museums in May of 2003. Since the gardens are dispersed throughout the Zoo, guests receive a Botanical Gardens and Zoo trip all for the price of one. For guests who want to learn more, the Los Angeles Zoo also offers both child and adult classes, ranging from group programs, to Zoo overnights, to ZooCamp for kids. For those seeking a career in zoology, field study and outreach programs are available. Discounts are available for parties of 15 or more people. With a group discount, adults are $14 per person, and children (ages 2-12) are $11 each. 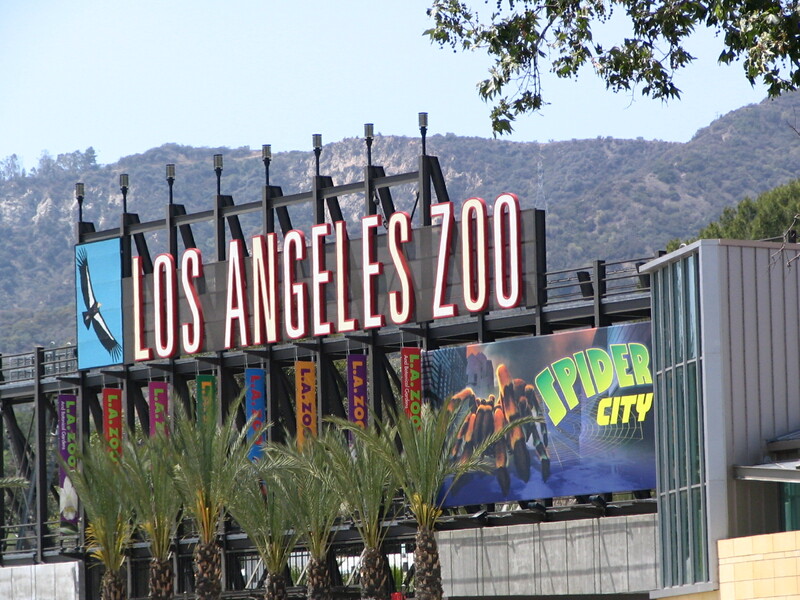 The Los Angeles Zoo offers several different memberships ranging from $49 to $1,000+. Membership benefits include discounts at gift shops and restaurants within the Zoo and special Zoo event invitations throughout the year.